Representing a career of importance both on and off the court, Oscar Robertson certainly earned the highest honor in basketball; induction into the Naismith Basketball Hall of Fame. 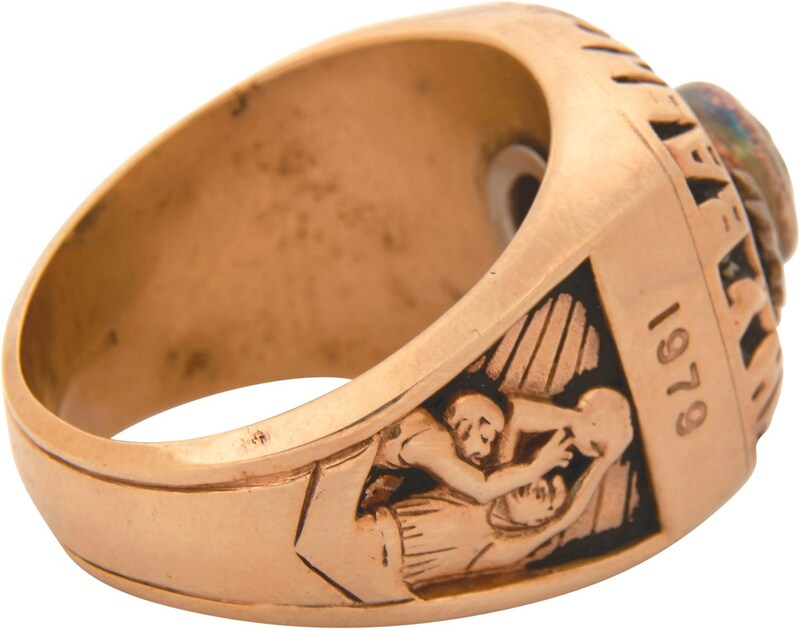 This ring was awarded to Oscar upon his induction in 1980, enshrining him among the elite figures in the sport's history. 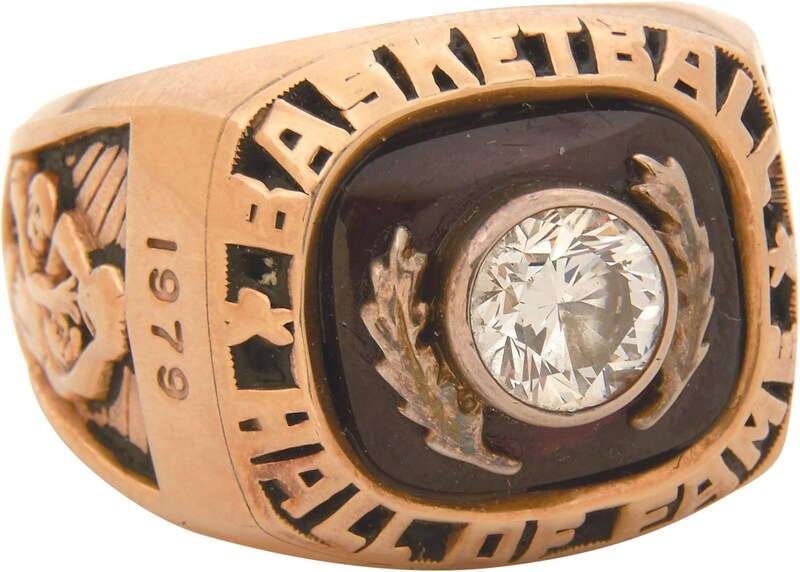 Around the perimeter of the top is "BASKETBALL HALL OF FAME" and a very large diamond on top is set on a dark red stone, with two branches at the sides of the setting. On one shank is "ROBERTSON" with the Basketball Hall of Fame logo below; on the other shank is "1979" with two players below. It's stamped inside by Balfour although the stamping is light, the size 14 ring is 10 karat gold but has no stamp inside as it probably was light and wore off, with the overall condition rating a solid 8/10. 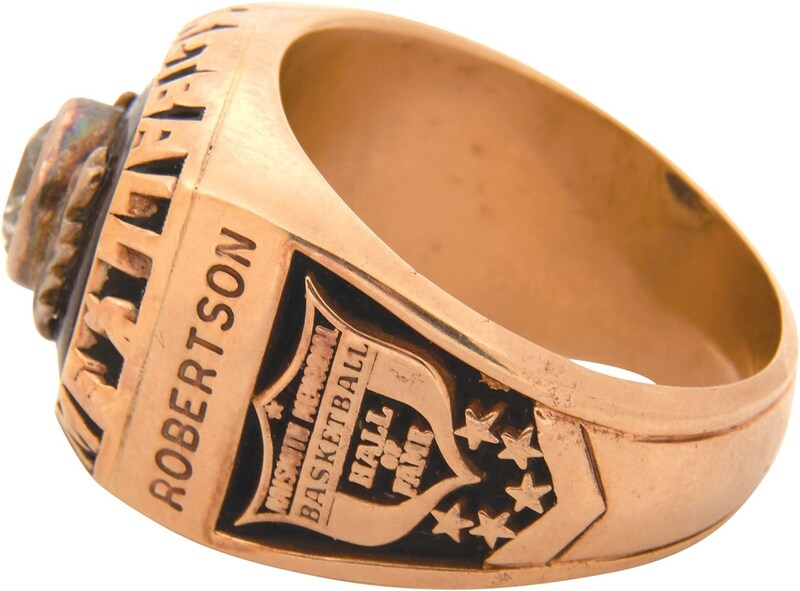 This is the very top tier of Hall of Fame rings from any sport, as "The Big O" was a Most Valuable Player and 12-time All-Star in his dominant career. To put his career in perspective, he was named as one of the Top 50 Players in NBA History in 1996, and ESPN ranked Robertson 36th on its list of top American athletes - not just basketball players, but athletes - of the 20th century.